Tasmanian writer Shanna Rudov-Clark’s book There’s Magic in the Sky was published by Forty South Publishing in September 2016. 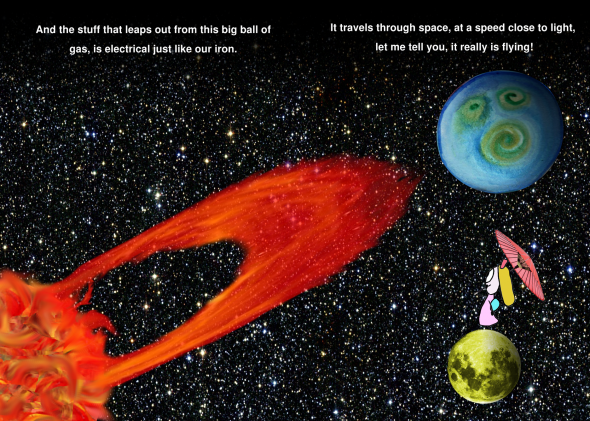 The book is a beautiful and unique combination of art, science and rhyme. 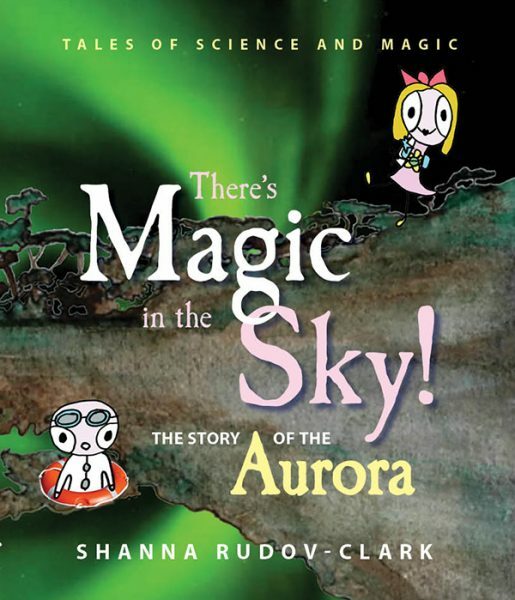 It’s an accessible book for children that explains how the magical lights of the aurora are made. There’s Magic in the Sky takes the reader on a fascinating journey, from the Earth’s core all the way to the sun and then back again to the Earth’s atmosphere, led along the way by Maggie and Dr Sci. This is a lovely book that should appeal to readers both young and old. It was one of the Tasmanian Writers Centre’s Recommended Reads in February 2017. TWC Intern Arianne James recently caught up with Shanna to ask her a few questions. What drew you to writing a children’s story about the Aurora? Moving back to Tasmania and seeing the wonderful pictures that people have been capturing of the Aurora inspired me to try to explain how these magical lights occur. I really wanted to provide a scientific explanation that would be suitable for children while retaining a sense of wonder and excitement. I’ll be unoriginal here and name “The Very Hungry Caterpillar” as one of my early favourites. Another book that really impressed me was “The Fairy Who Wouldn’t Fly” – an Australian book written and illustrated by Pixie O’Harris. The adventure is set in the Australian bushland and the illustrations are out of this world! I was given a book when I was a little girl, and I still have it, I just love it. Do you think these authors have influenced your own writing? I wish! To be able to illustrate like Pixie O’Harris would really be something. I think that the psychedelic illustrations of some of the books I read in the seventies probably had more influence. I also like Lauren Child’s style in her “Charlie and Lola” books. Can you describe the process of writing a picture book? What is you favourite part? For me the writing came easily. Illustration was the hard part, I initially lacked the confidence to do it but in the end I took the plunge and used a collage style, combining patterns with individual elements such as characters and planets. Writing was by far my favourite part, but I also liked painting some of the elements that are incorporated into my illustrations. What do you think are some of the greatest challenges facing children’s literature today? In terms of getting published…where’s just so many great children’s books already out there! Every major publishing house seems to be accepting any genre except children’s books…there must be a glut. In terms of the literature itself, I think the challenge is to remain topical and current without becoming too preachy. I find books where the author tries to jam their personal morals down your throat a bit off-putting. I think you should trust yourself, genuinely express yourself rather than trying to adopt the sort of voice you think a children’s author should have. What is it like working with an illustrator? Do ever imagine a drawing for one of your scenes and tailor your writing to the drawing? I didn’t work with an illustrator, although there are four pieces of art in my book that were provided to me by individual artists. They were wonderful and trusted that I would be able to incorporate their work into my graphic design in an appropriate way. Do you find Tasmania to be an inspirational place to write? Absolutely – we live in a picture book island! Tasmania is full of history, natural beauty and quirky characters…it’s an author’s paradise. What do you think are the qualities that need to be encouraged more in our children to make a better world? I think the number one thing is a positive outlook. Anxiety seems to be on the rise among our children, or at least the reporting of it. Children need to be able to experience the carefree innocence of childhood, and this is becoming harder and harder as the media and advertising constantly find new ways to insinuate their way into our consciousness. Learn more about There’s Magic in the Sky on the project’s Pozible page and Facebook page.